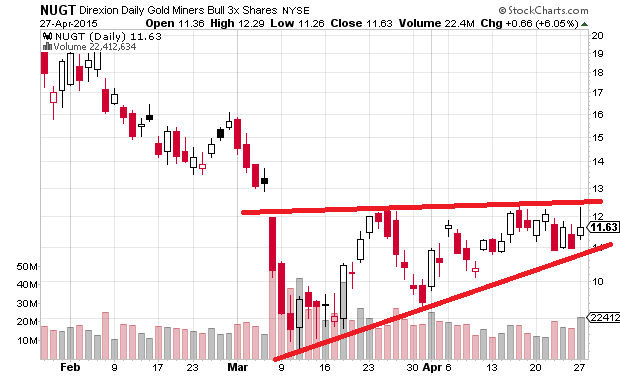 I've been studying the gold miners chart In the index GDX and GDXJ. Their direction ultimately comes from dollar direction. 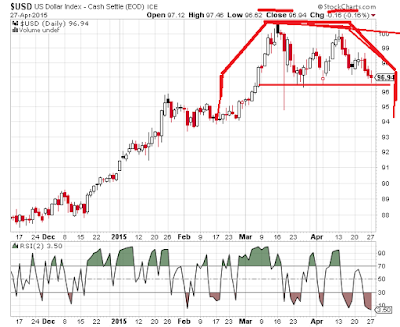 Gold is inversely correlated to the dollar. 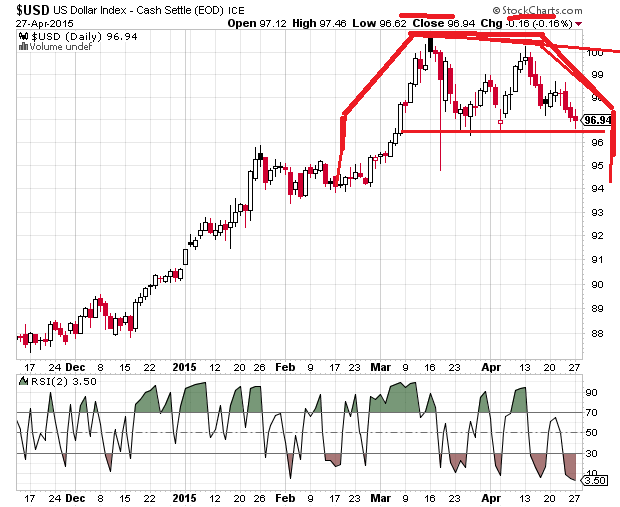 All I could see in the dollar chart was this wide trading range it is in. It's testing support of the range now. I kept looking at it and the second test of resistance never made it and this very well could be a classic double top her on the US Dollar. The more I look at it the more confirmation it gives me. The two prints on the top candles were bearish candles. The first was a black candle and the second a shooting star. The junior miners chart is essentially the same as GDX the gold miners index. Both are tracking gold which is tracking the dollar. GDX and NUGT have a clearer bull triangle forming. There is max maybe a week left until the triangle is done forming. So it could be a week until the breakout up or down or it could come sooner any day now. Here are the regular miners. Much cleaner triangle than the juniors. Definitely bullish now.